Co-curricular activities support the academic endeavors and mission of The School at Columbia University. These activities and support systems are considered an integral part of school life, and are central to The School's commitment to the academic, social and emotional well-being of students. More than 80 After School Program courses, 20 athletics teams and several clubs and teams comprise The School's robust co-curricular offerings. The School at Columbia’s After School Program (ASP) functions as an extension of the school day. 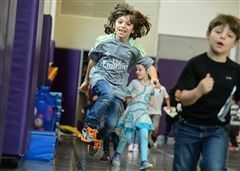 The program encourages students to try new things, take risks, and just play. The goal is to offer students a diverse set of extracurricular activities that embrace multicultural perspectives, and are academically challenging, innovative, and engaging. More than 80 class options are offered every semester, ranging from Kindergarten Mandarin to the very popular Best Sports Class Ever. The After School Program runs Monday to Friday, 3:30-5:30 pm, every full day of school. 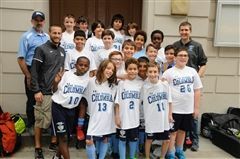 The School at Columbia offers basketball, cross country, fencing, lacrosse, soccer, squash, track and field, and volleyball teams for Grade 5 through 8 students. TSC teams compete with peer schools, and the school aims for a well-rounded program where students learn about being part of a team. The School also works to ensure TSC athletes receive sufficient support so they may enjoy both academic and athletic successes. 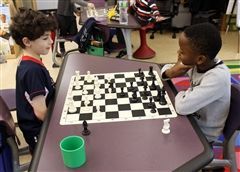 TSC hosts a lunchtime chess program for interested students, a chess class as part of the After School Program, and a competitive chess team that participates in area tournaments. 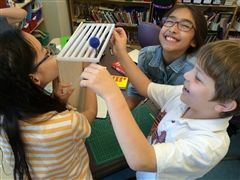 Middle Division Clubs at The School are designed to give students in Grades 6-8 enrichment and leadership opportunities, as well as new ways to collaborate across grades. Two out of every three Middle Division students participate in at least one club, and many participate in several. Clubs include Art Portfolio, Debate, Gay-Straight-Transgender Alliance, Maker Club, Model U.N., Robotics and more.